The snom D715 IP Phone provides high-speed connectivity thanks to its Gigabit Ethernet switch. The D715 comes complete with 4 SIP accounts, Gigabit switch and a USB port. Featuring a four-line black and white graphical display, the D715 also has four context-sensitive keys and an intuitive, user-friendly menu. Five programmable keys with built-in LEDs for visual call indication give the user flexibility with each function key configurable for a variety of one-touch telephony functions such as speed dial, busy lamp field, or presence indication. VoIPon - your snom D715 IP Phone - White[D715W] distributor, supplier, reseller! Get all your wifi at VoIPon! 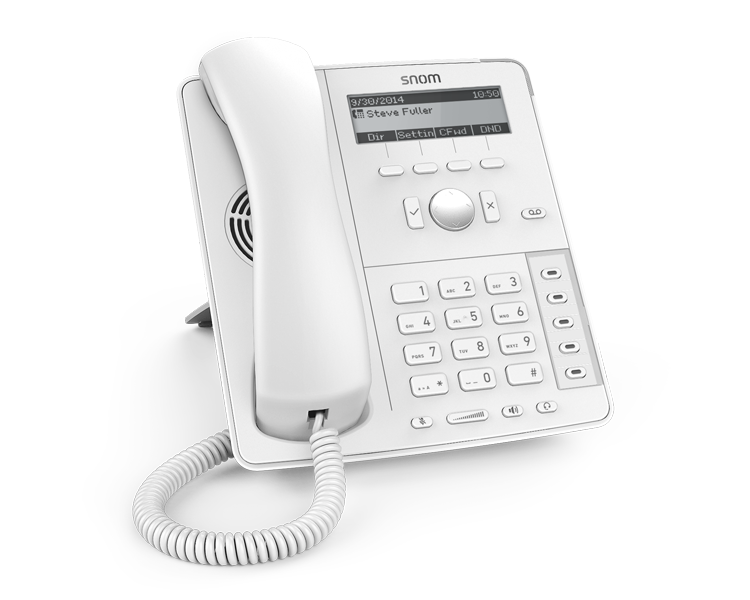 If you would like to be notified when the"snom D715 IP Phone - White" is re-stocked, please enter your contact details and we will notify you instantly.